August Nine Designs - Richmond, VA. 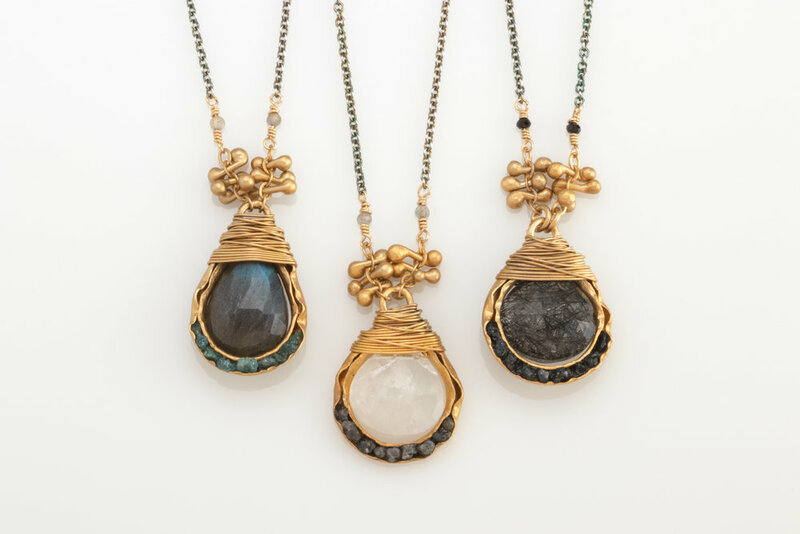 Artist & designer Austin Titus hand-crafts earrings & necklaces from her home studio. Using an array of semi precious stones, oxidized sterling silver, & brushed 14k gold vermeil, each piece is enhanced with color, character, & sometimes even imperfections.